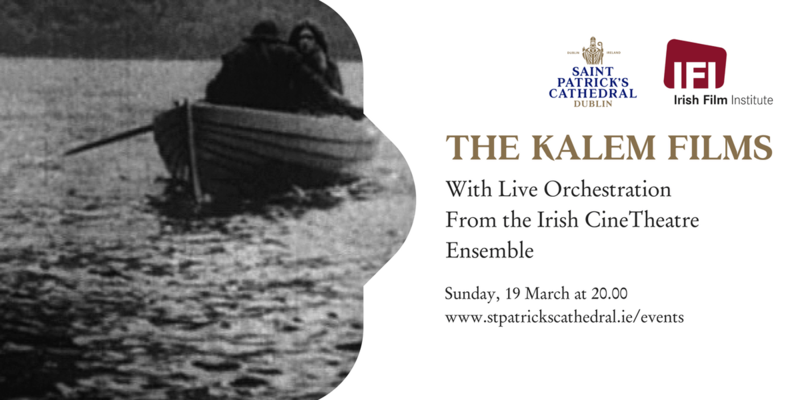 Saint Patrick’s Cathedral in association with the Irish Film Institute is delighted to present a programme of Ireland’s earliest drama films with an original score by Bernard Reilly performed live by the Irish CineTheatre Ensemble. The programme, made by New York’s Kalem Company, includes The Lad From Old Ireland, the first film made by a US company outside America. The company, fondly referred to as The O’Kalems, came to Ireland in 1910 and during several visits over the following years made almost 30 films dealing with Irish themes. Also screening is You Remember Ellen (1912) and The Colleen Bawn (1911). Bernard Reilly’s magnificent new score breathes new life into these fascinating archival gems. Don’t miss this opportunity to see some of Ireland’s most talented musicians bringing a versatile approach to ‘live to screen’ performances in the spectacular surrounds of the Cathedral. The score for these films (premiered in 2014) was commissioned by the Kerry Film Festival.